Videoconferencing is now widespread due to more affordable and available technology like Apple’s FaceTime and webcams. A large portion of the population’s comfort level with being in video due to social media applications and sites like Snapchat and YouTube are also contributing factors. Fans of videoconferencing note its ability to create stronger relationships among far-flung colleagues. Videoconferencing also can provide organizations with savings by helping them avoid travel costs. And while launching a videoconference can be as simple as clicking a few times on your computer or smartphone, it’s a good idea to take a few moments to prepare for on-camera meetings. 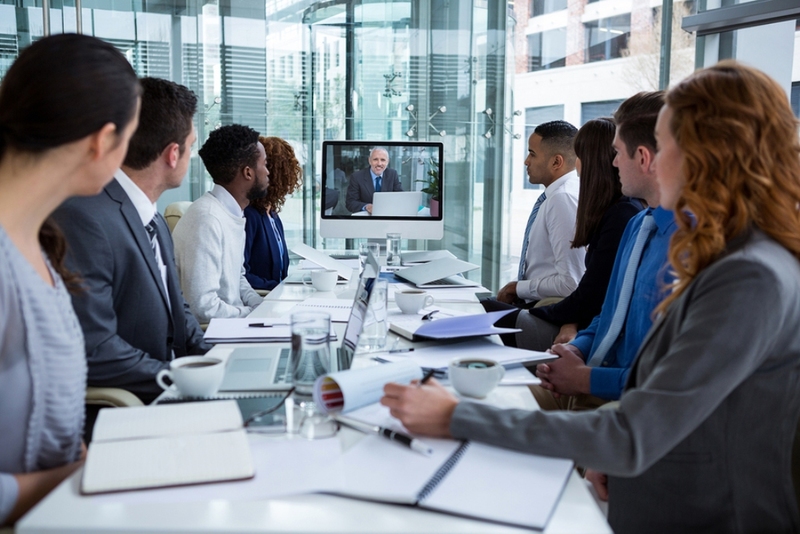 One really important thing meeting participants should do is make sure they have downloaded any needed videoconferencing platform updates well in advance of the meeting. That way they won’t unnecessarily delay the start time while struggling with technical difficulties. A couple of things to consider include your attire and your environment. Be sure to wear something suitable for the meeting. If it’s just a casual meeting with a few colleagues, a T-shirt and shorts may be fine. But in more formal work environments or when customers are involved, make it office casual at the minimum. Also, look around before you join the meeting. It’s especially important to look behind you. If you work at home, you may want to relocate that laundry basket within site of your camera? If you work in an office, you may want to tidy up the space that’s visible to remote meeting participants. And speaking of your space, try to pick a quiet one. If that’s not possible, wear a headset to keep noise to a minimum for you and everyone else on the video call. Decreasing noise and distraction may be as simple as closing your office door. In fact, you may want to lock that door. Remember that video of the man being interviewed from his home office when his two young children wandered in? The man pushed his toddler back, and a lady came running in to grab the kids. It was embarrassing on so many different levels. For meeting organizers and presenters, having someone dedicated to making sure everything runs smoothly during the videoconference is not a bad idea. It’s also nice to keep participants in the loop on what’s happening if there are technical difficulties or delays. And recording and having tools that make the on-demand meeting easy to search can also increase the value of videoconferencing.